NeoDuction interview - Creators of the Relisten app, and other wonders. My name is Fernando Brunet, Technical Director of NeoDuction, and personally I have a lifetime dedicated to professional sound for 40 years. During the 1990s I made contact with other technicians who developed the algorithms and key utilities of what is now Relisten. As with all inventions, there is always an element of chance. We were not really looking for a Sound Optimizer. It was the times when hard drives were small and expensive and we wanted to get a lossless compression system. It was a mixture between FLAC and DSD so to speak. Unfortunately when we were finishing the project cheap hard drives and high storage drives had arrived. But the sound vectoring gave us a control on the sound which was unknown at the time! This small laboratory became the first NeoDuction during the 2000s, devoting his activity to professional audio mastering and sound processing for recording studios, mobile units and Cinemas. We are currently developing several parallel processes based on the same technology. *You have several updates and tie ins for up and coming Relisten. Could you tell us a little about them ?. Sure. We are working on a new version of Relisten that increases your ability to play high resolution audio files, 24-bit 192 kHz, and capable of decoding FLAC and DSD. 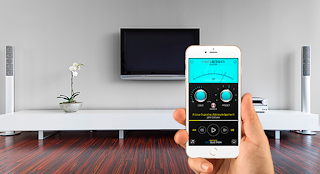 The user can choose the sound processing with two new controls: Harmonic Balance and Smart Bass. Furthermore we reached a trade agreement with COZOY Audio and we will include specific set ups to meet their DAC to the best. *Many people are asking About your app, Especially the price. How did you come to choose that figure?. Damon, you do certainly know that the professional market is not particularly cheap. We are offering for $50 processes which TVs around the globe purchased for thousands of euros. 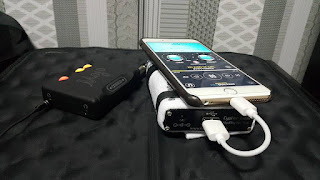 On the other hand we have always believed that our High End market is very tight and thus we have to rely the product development costs in a less units, this is the same issue that we find with hardware. I honestly do not believe that there are so many people in the world able to distinguish the sound levels that handle Relisten. We understand it is difficult to take control of a master track without damaging the production, at the end of the day it is a product designed for a very specialized customer. Ipod touch 6G 128GB, Relisten app, Cozoy Aegis dac/amp, DITA-The Truth. *Will there be any other apps available? Indeed. 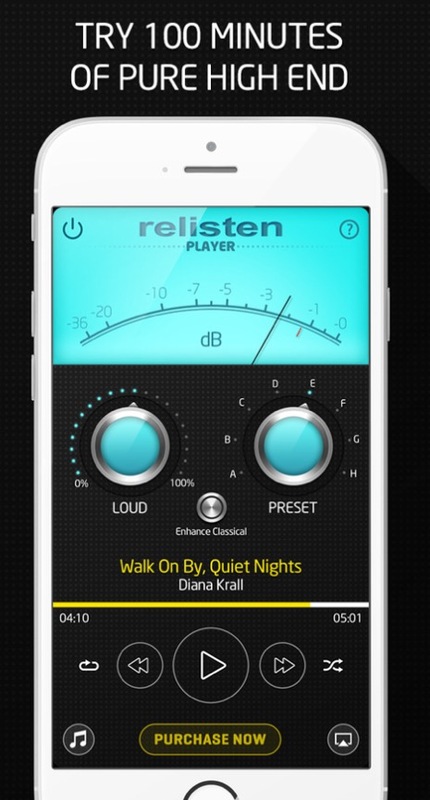 When we started developing Relisten Player we certainly did not expect this success in the app market, but the results encourage us to continue to create new products for the professional and High End market. Probably in mid-December there will be released a package of professional applications that we call NeoductionTools, which is available for Android already. *I have demoed the Free Trial Lite version and hope other readers do too. Yes. We had a hard time deciding how to work out a Lite version, we did not want to limit it in performance, but in the end I think we offer a consistent and adequate benefits for the demo user to get a clear idea of ​​what Relisten player is. 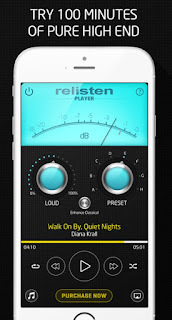 *I enjoyed the trial version of Relisten app. I thought the sound by itself was on par with other apps. With the different technology it employed it becomes You have quite a different animal. Particularly I like it With Classical Enhance on, I find it really Brings the music forward, to also with warmth and clarity. At high volume, Although I Could hear some minor distortion. This was minimal though when i used full lossless ALAC files. Relisten player is currently thought to play MP3 through the iphone DAC and good headphones. Relisten transforms the dynamics of each sound object in a specific way in relation to its plane. Our technology does not work as a dynamics processor, but it uses vectoring to recognise independent objects. The new version will have special features to play Hi-Res files and we are working on the way that Relisten enhances this kind of files. The current version occurs to increase the audio output up to 6.5 dB depending on the sound content. This increase is not caused by compression or leveling, if not by accumulation of sound objects (as there are more things being played). These details that are increased are extracted from the music itself, and can generate distortions or artifacts not previously heard, even if they are in the audio master at a very low level. We can saturate the analog amplifier but never the digital output. Relisten creates dynamic in music so in a high compressed mixtures can saturate but always at levels that might be better to lower the volume on our health. Obviously with audio files with higher definition and dynamics these effects are minimized. 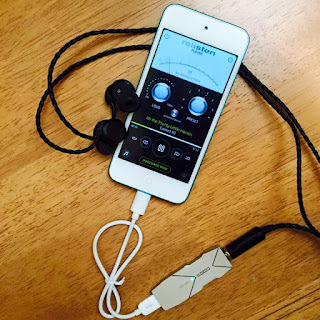 Relisten app and Chord Hugo. *Is there any special signature sound you are going for? Our ultimate objective is to thrill the listener with the music and with the interpretation. We do not want to stand in for the engineer or the means used, both are laudable but only 10% of the recording. The living, the really interesting part is the communication with the performer. Even her breathing is important! That is the direction in which we work. We do not aim to have a signature sound itself, we want to be transparent to improve communication between performer and listener. *Can you share with us any design specifics? Well I think we've talked about a few. We could say that Neoduction we try to consistent both in physics and in the approach to the sound manipulation, our philosophy relies on keeping the sound pure. We can imagine that in a room there are 1,000 spectators listening to a concert and we could say that everyone hears a different concert. Each receives an instrument before the other, stronger than the rest in level and yet with all these changes we think we are all listening to a coherent implementation of the music. But if we suddenly started to change the size of violins and we placed each section into a separate room with different acoustic conditions the music will change too much to consider it the same piece, right? This level of distortion of the piece that could resemble a traditional equalization or compressor, this is the kind of process we aim to avoid. *Tell us a little About That and any future plans for further products. Well, in the Pro area we are developing three new plug ins for VST3 and AAX: The Distance Creator, Tone Equalizer and Shape Modeler and we think it can be revolutionary. We are finishing the first phase of MasterDone, an online mastering service platform. 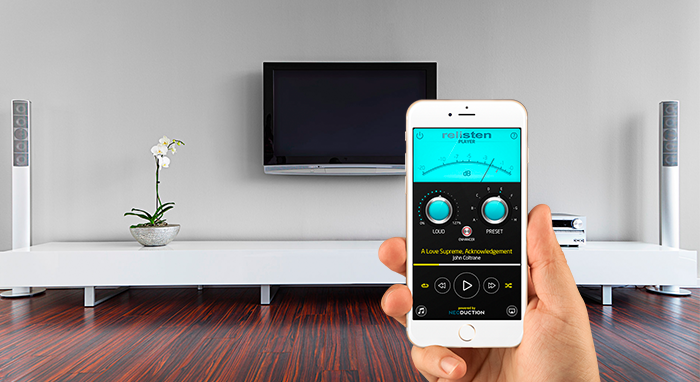 And we are ending BeThere a Relisten based device for six or eight channel home theatre with an emulator for live broadcasts such as operas, ballets and concerts, that is already implemented in commercial cinema theaters. *Anything else you`d like to add? Yes. Just wanted to say we are sure that in two years we will surprise the entire audio industry. *Thank you for your time. -That was expatinjapan of head pie blog talking with Alex Bordanova the Project Manager of Neoduction.